Thank you for all of your support over the past few months. 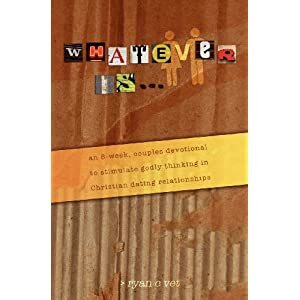 In February I released my new book, Whatever Is, a Christian Dating Devotional. Due to a tight deadline, the book was lacking a few bells and whistles in its first debut. However, the second edition full with new questions, more thought provoking studies and less typos is out an available on Amazon today! After spending countless hours researching devotionals for Christian dating devotionals for young couples looking to pursue godly relationship, I became extremely discouraged. 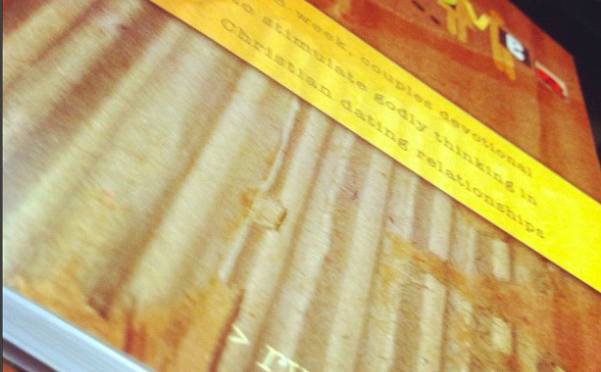 It was difficult to find a book that really captured God’s standards for dating in a secular world. Out of my frustration and out of my need for a meaningful Valentine’s Day gift, this dating devotional book was born. Inspired by the seven “Whatevers” found in Philippians 4:8, I began to formulate ideas for a study that could be used by young couples involved in dating relationships. This study is broken down to allow couples to grow independently closer to God and become more grounded in their Walk with Christ as well as grow closer spiritually to one another ultimately ensuring Christ is center of their dating relationship. This eight week study tackles big issues from purity to the true meaning of love in accordance with God’s Word. Instead of enforcing viewpoints on dating, this study is very open-minded, using Scripture as a sole guide in an effort to allow couples to develop their own opinions and stances based on the truths found in the Word of God. Now, this book was written as a Valentine’s Day gift for a girl who has taught me the true rewarding joy that is found from being involved in a relationship that is honoring and pleasing to God. Due to the fact that this Bible study for Christian dating couples had a very hard deadline of Valentine’s Day, it was unable to go through all of the final stages of editing and formatting. That being said, a second edition will be released within about two months that has gone through the complete editing process. However, that does not mean that the devotional has any less power or impact in its current edition. Now she surprised me, snuck my car keys, and totally decorated the inside of my car with balloons and a beautiful handmade sign. On my seat was a great gift compiled of a bunch of items that all had something to do with our relationship and memories throughout the time we had been dating along with an extremely thoughtful (and very artistic) note. All around, it was an incredible Valentine’s Day. So, if you are in a relationship, or know someone that is and you realize the importance of dating within the freedoms of God’s boundaries, I would encourage you to pick up a copy of this Christian dating devotional. This study can be used for couples that have just started dating or couples that have been dating for quite some time. It is very versatile and flexible and hopefully will challenge you to change your thought pattern in your dating relationship to put God first and center.